Beautiful church WordPress theme designed for Charity, non-profits and religious websites. 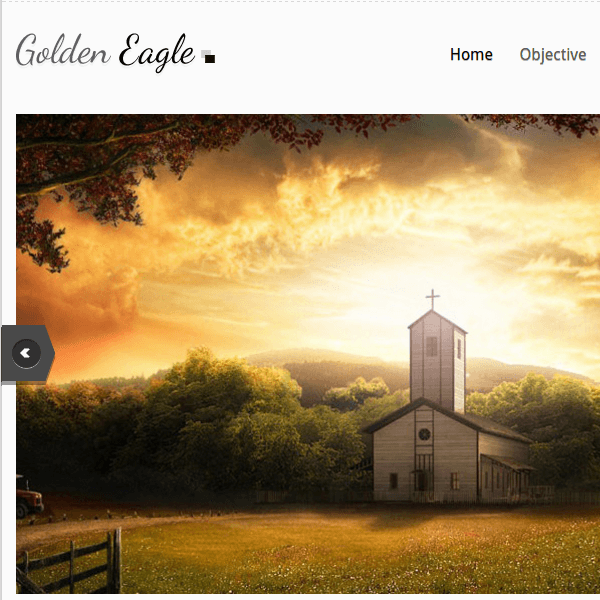 Golden Eagle is Perfect Religious Design for church. Though it is basically design for cultural and religious purposes, This theme has a very flexible design to create your WordPress website for other niches as well like Hotels & restaurant, Pets niche, NGO’s, Home & interior, Real Eastate etc. It is a premium theme for modern church websites has a flat design with a wide responsive layout that adapts to phone or tablet screens for a mobile-optimized view. It allows you to share videos or images easily on your site, publish sermons in form of videos/text, display profiles of staff & leaders. You can create any number of custom pages with the content of your choice. It is very easy to use theme. You can setup your website within few minutes. It supports Child Theme creation. It is SEO friendly theme as it follows all the standards of SEO. It is compatible with almost all the latest versions of WordPress. Provides custom widgets as well as different custom templates. Comes with beautiful slider on homepage. And allows your settings from theme options panel. Provides Ready contact form template and Ready Gallery page template. Allows to set background images. Comes with proper documentation and video which will help in setting up the theme. This theme comes with flexible design with wide responsive layout, When I start NGO, I also developed my website for get online donation from globally and It should help to rich my work through this website.